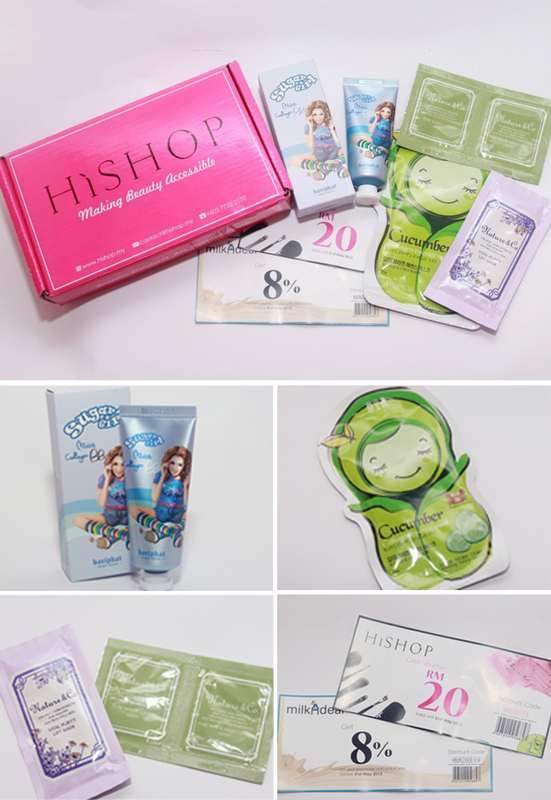 HiShop [pronounced as hai-shop] is an online beauty and cosmetics store. HiShop only carry Genuine Products and we believe that beauty should be made accessible for everyone - anytime and anywhere. The box they have sent me really attractive and girly enough (hot pink). Its can be reuse as my nail polishes box. I can't wait to try the Baviphat Moist Collagen BB Cream and Vital Purity Lift Mask from Nature & Co because I heard many good compliments from my friends and online resources. Well I still haven't tried all those products so I can't give a proper review on it but I am happy with the products they sent me. the baviphat bb cream looks cute!